I have made this theme long time ago, when i was first started on design.I believe this themes is great to use it if you have get started with your mybb forum. As you have seen this theme has not any feature because is so simple as it shows up. 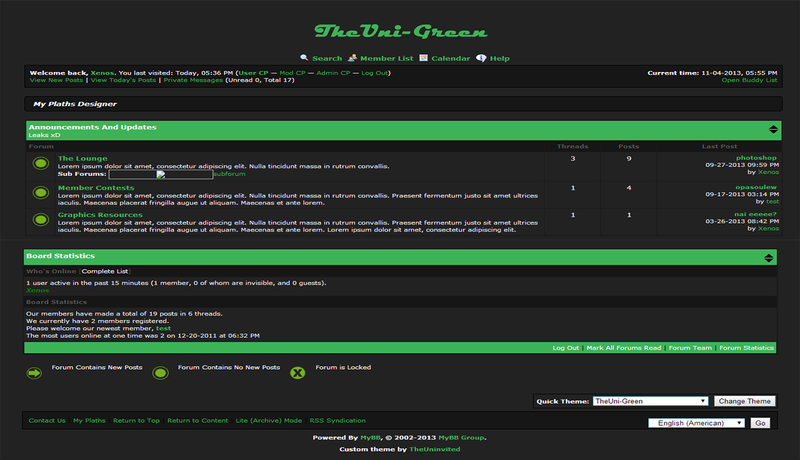 Simple mybb green theme! ( TheUni-Green) is ranked 5 out of 5. Based on 2 user reviews.